Le Toy Van's beautiful wooden furniture sets are a new dimension in dolls house accessories, offering the highest standards of attention to detail and quality. 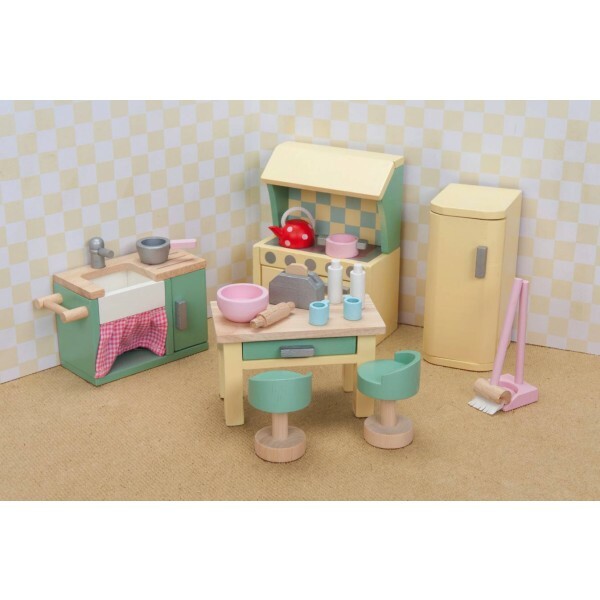 The Daisylane Kitchen set includes a sink, cooker, an opening fridge and a work table, along with lots of accessories as pictured. Le Toy Van's beautifully made furniture sets are full of quality, quirkiness and detail, and make any dolls house feel like a home. We love the spotty kettle and the cute pink dustpan and brush!